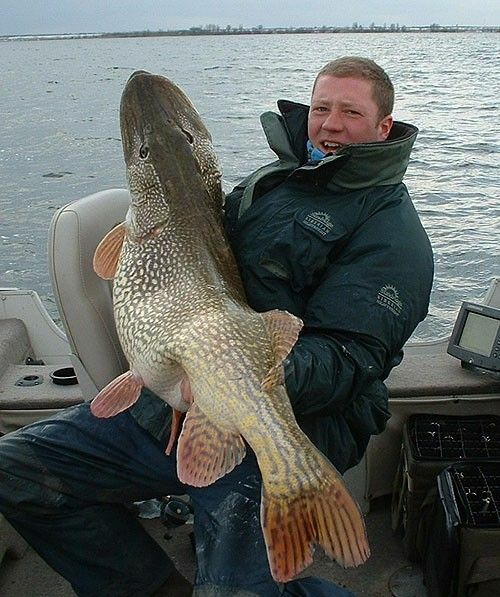 This is a new record Northern Pike in Canada .. 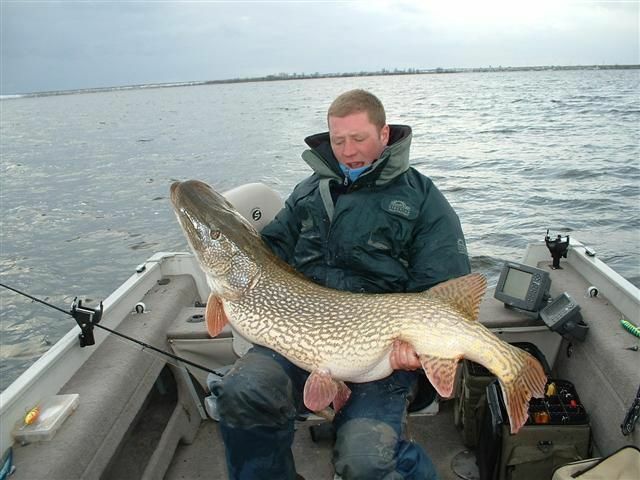 It was caught on Turtle Lake, Saskatchewan. This guy caught a 36" Pike. As he was reeling it in, a 56" - 55 lb Pike tried to eat it !!!!! He landed them both in the same net. Hmmm.... I seen that picture a couple of years ago and it said some scandinavian country I think. Still, its huge!! Yes I have seen this one several times also. 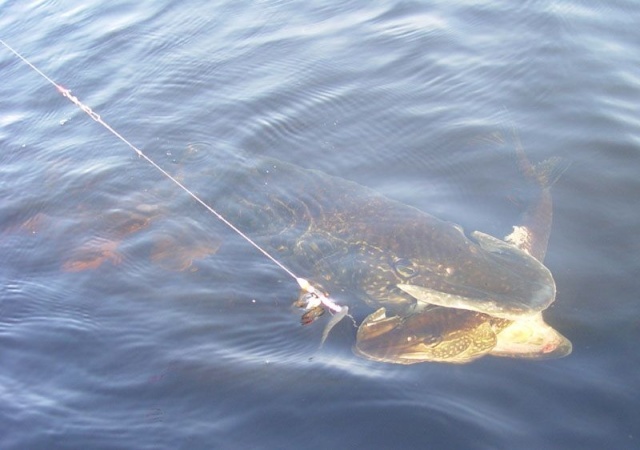 As you say, it is a monster pike. Nothing like a good fish story eh guys. Well, actually a good story about the wild women that was picked up at the bar is about par.